For the month of February, the Rothko Chapel presented a meditation on the topic of "Stewardship" in the Zen Buddhist tradition, led by Mary Carol Edwards. This program preceded our 2019 Symposium "Toward a Better Future: Transforming the Climate Crisis" taking place February 28 through March 2 at the Rothko Chapel and University of St. Thomas. To learn more, click here. 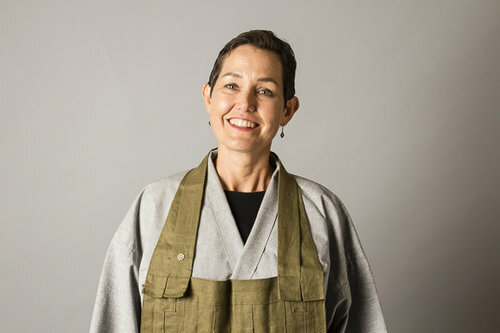 Mary Carol is a lay entrusted dharma teacher at the Houston Zen Center. After exploring various faith traditions, she began practicing Zen Buddhism in the Soto lineage in 1998. She also has a calling for environmental restoration, particularly wetlands. She was a stormwater wetland specialist for Texas A&M Extension Service for 8 years, and recently started on a new path as a wetland plant farmer. Mary Carol has deep roots in Texas as a 9th generation native, and loves to see nature and the dharma flourishing in Houston.